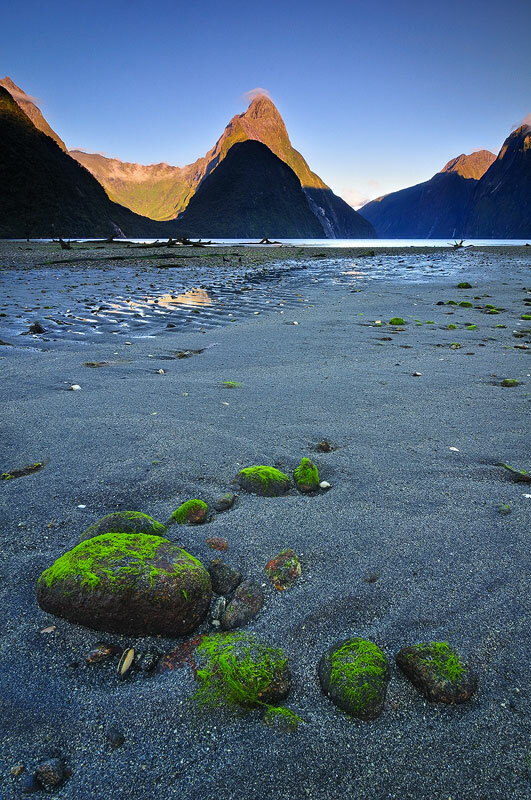 Green moss covered rocks at Milford Sound. | Milford Sound, New Zealand. Some moss covered rocks in the shape of a C at Milford Sound. By the time sunlight covered all the mountains, these rocks were covered up by the fast tide.